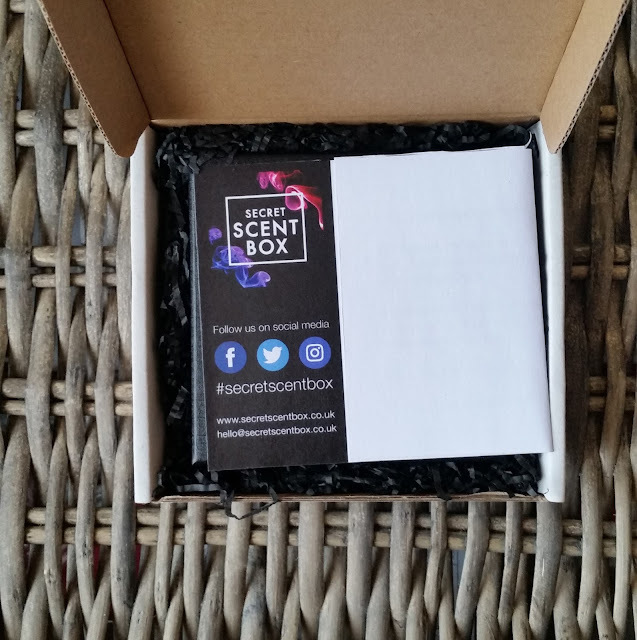 If Your into your scents like me and want to discover new fragrances delivered straight to your door then the Secret Scent Box is perfect for you! 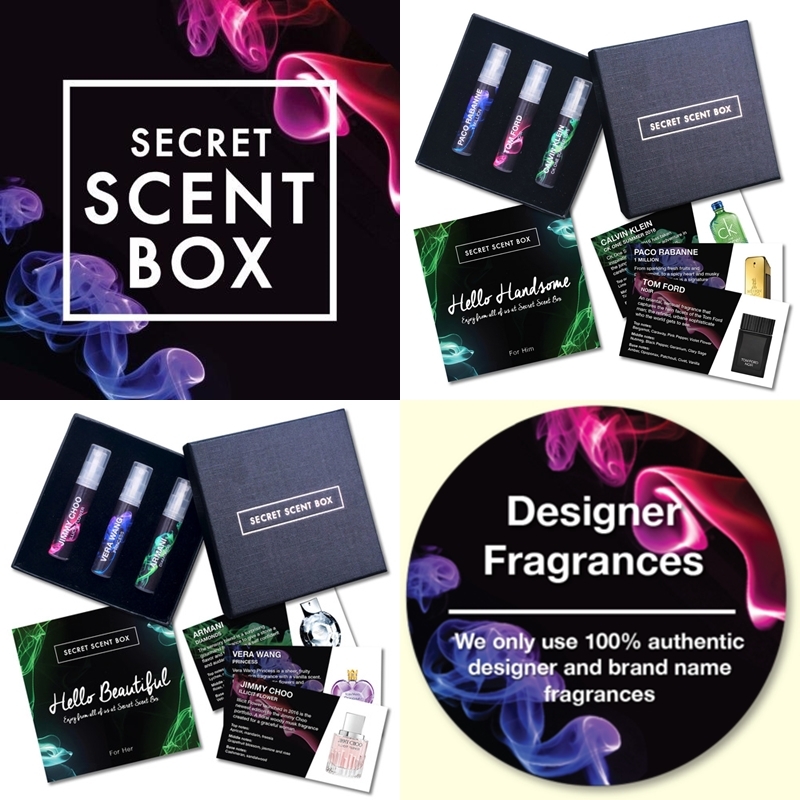 Secret Scent Box is a monthly subscription service that delivers new designer & branded perfumes as well as colognes, straight through your letter box with ease, in its letter box friendly packaging. Each month, the team behind this great idea hand pick 3 mystery fragrances for you to discover in the sophisticated box the fragrances are kept safe in. You can be assured you will only receive 100% authentic designer and brand name frags and the box is a 30 day supply which contains 3 x 3ml which roughly is 4 sprays a day. 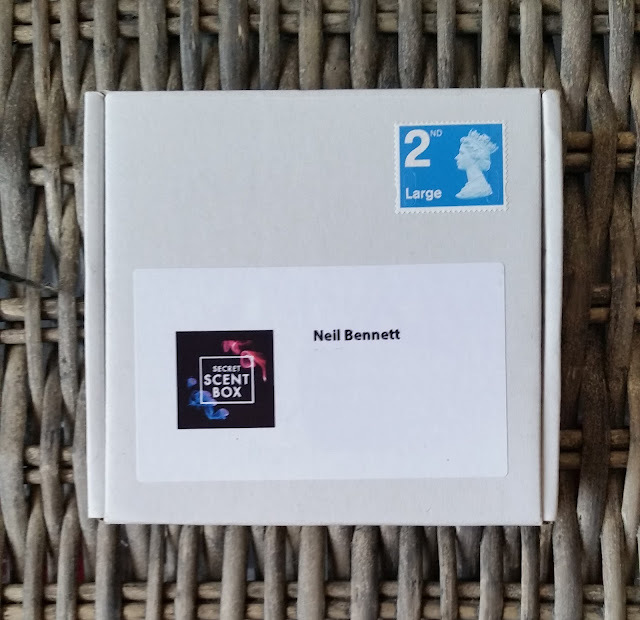 In my first ever box i was surprised at how well the box feels and looks, it reminds me of, and when you receive or purchase jewellery. The lid lifts off and there is a welcome card greeting you, plus three information cards detailing which scent is which. There is a label on each 3ml scent telling you the name of the fragrance so u can match it up with the card, if you want to know the notes and description of each one. CK One Summer 2016 has taken inspiration from a summer adventure in the jungle. A refreshing, rebellious, carefree and exciting fragrance. Lime Mojito, Guava, Green Pineapple. An oriental, sensual fragrance that captures the core essence of the tom ford man, refined, urban and sophisticated. Bergamot, Caraway, Pink Pepper, Violet Flower. Nutmeg, Black Pepper, Geranium, Clary Sage. Amber, Opoponax, Patchouli, Civet, Vanilla. From sparkling fresh fruits and peppermint, to a spicy heart and musky base notes, 1 million is a signature Paco Rabanna scent. 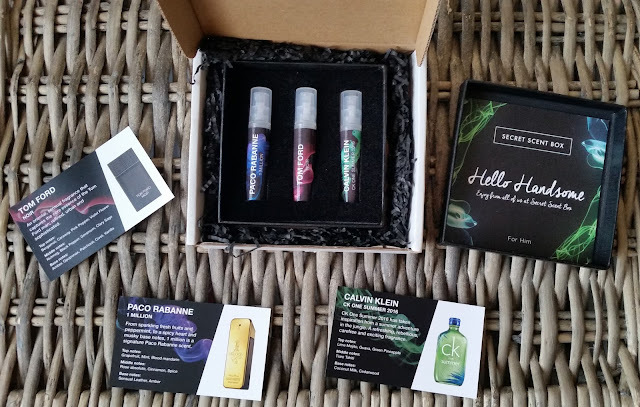 As you can read from above i received in my first scent box three top quality scents that are each individual from their unique notes. I really like this scent box and the whole idea based around it. Secret Scent Box delivers scents to the customer that you may not spot in the shop or be aware of plus the element of mystery, adds the fun factor! 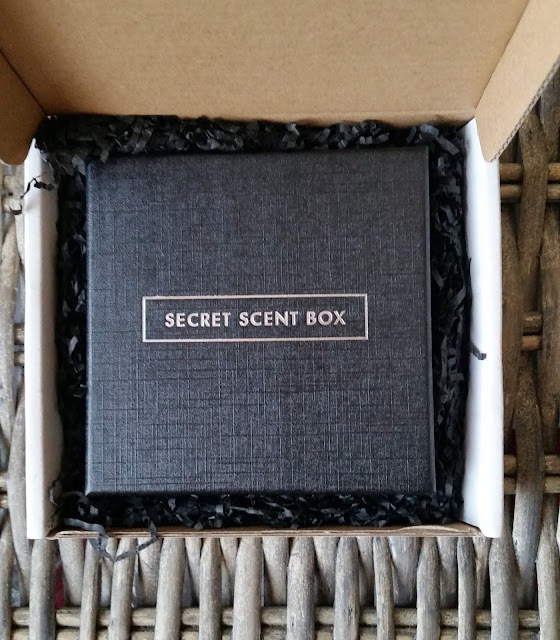 If your looking to start your scent journey all you have to do is visit Secret Scent box and subscribe, your subscription can be cancelled at anytime. Available is 25% off by joining their mailing list!